Home » Products » Gift Ideas » George Jensen Denmark – Vintage Sterling Bar Pin with Green Agate Stone – #224B. 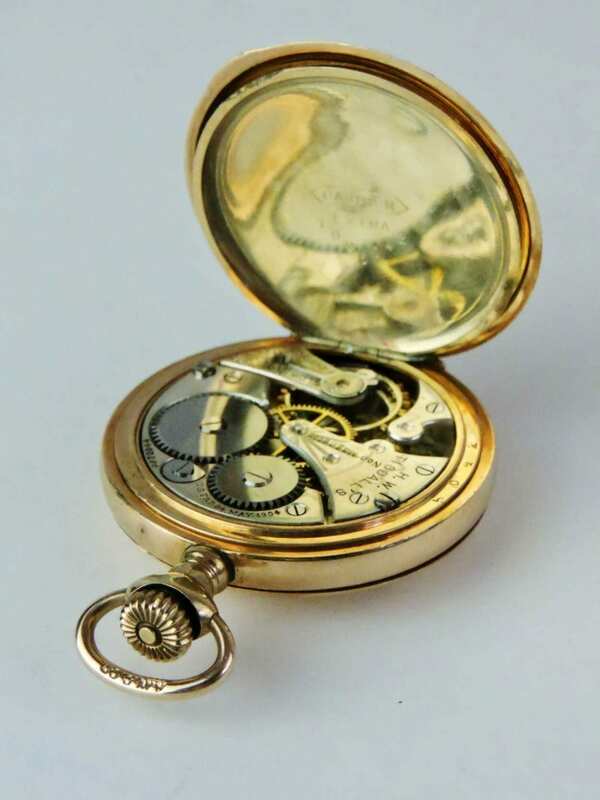 Product ID: 57283 Categories: Gift Ideas, Jewelry. Double Strand White Pearl Necklace with 14K Clasp & Blue Sapphires. A white pearl necklace with two pearl strands joined together by a 14K clasp in gold with 10 blue sapphires. The clasp has a unique leaf and flower design with two small pearls in the centre of the blue sapphires. The pearls are quite large, but the necklace is a fine balance of length and weight. The necklace contains 122 cultured pearls measuring 8.3 mm to 9.0 mm. The necklace is a nice combination that is easy to wear for everyday or special events. Measures: 23 inches in length / 0.5 inch bead / 1/4 inch bead with 14K clasp in white gold & 10 faceted blue sapphires. 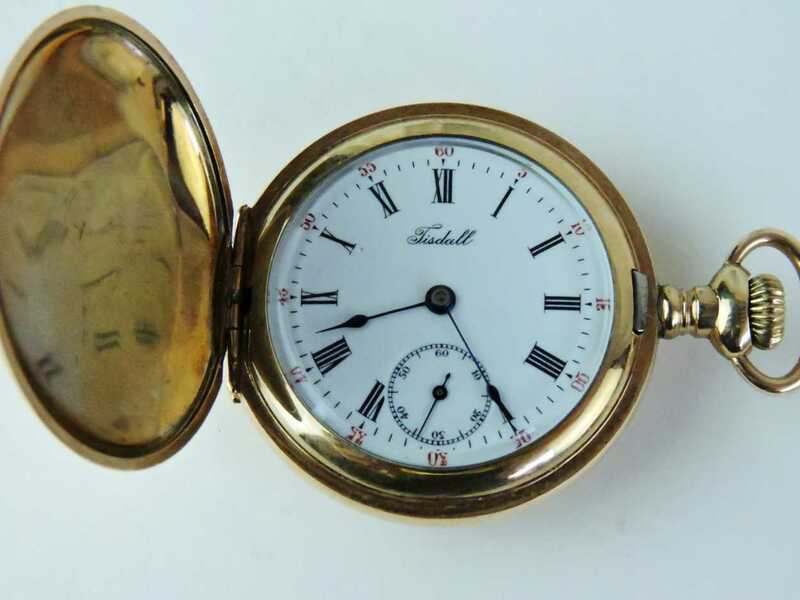 Small Ladies Tisdall Gold Filled – Double Hunter Case Pocket Watch. A small Tisdall gold-filled pocket watch, it dates circa 1910. 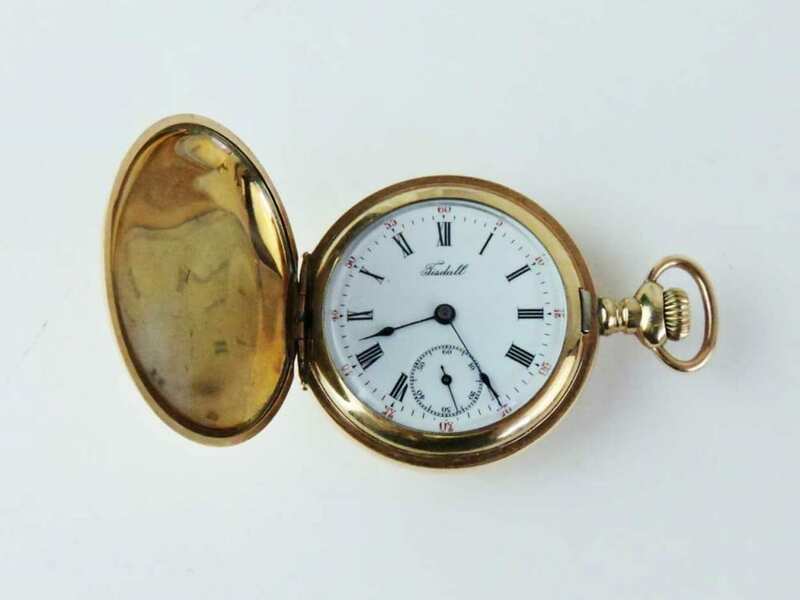 It is a lady’s size 6 double hunter case pocket watch in solid working condition. It has a white porcelain dial, black roman numbers, blue spaded pointers and a second dial clock in sparkling movement, and signed H.W. Tisdall’s. 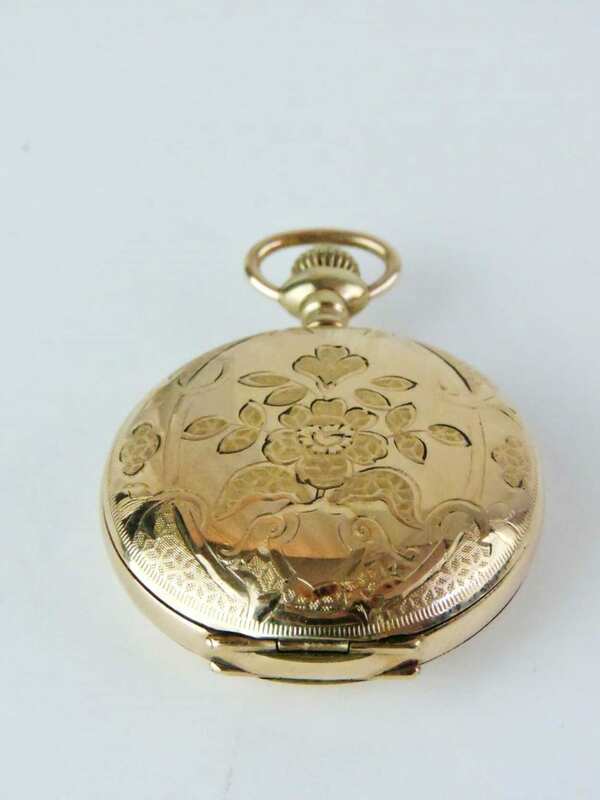 The Cashier 25 year case is decorated with a unique design of a crest, floral and leaves. 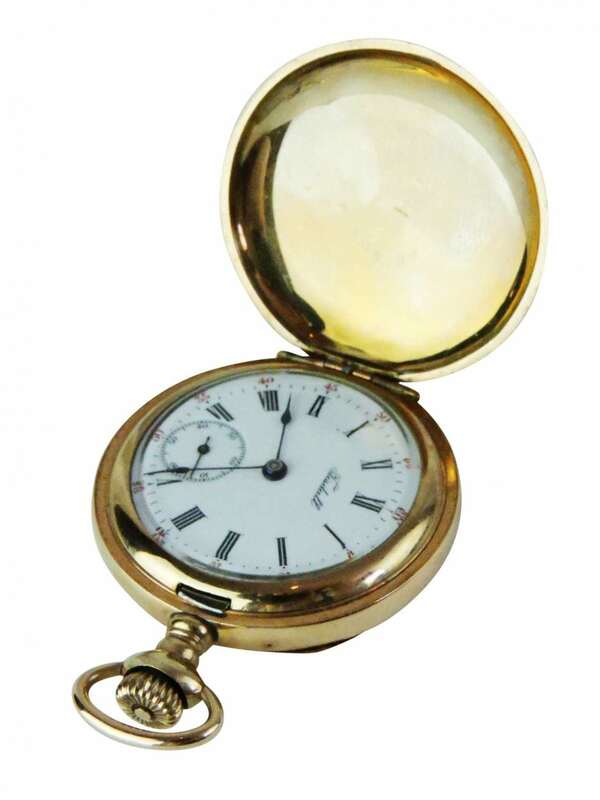 A stunning pocket watch that would make a perfect gift for any time of day. Marker: H.W. Tisdall, circa 1910. Excellent Condition: Solid working condition (minimal surface scratches). A lovely pair of 14 karat gold earrings from Birks Group, Canada. A simple design of a classic square, yet bold in size with adjustable clip-ons for the wearer. These earrings are a delightful vintage classic, in a flexible tone of gold that can brighten up any attire. A wonderful pair of earrings, perfect for everyday or special days. Excellent condition ( minimal surface scratches).